phonological base of our language by being able to separate the sounds or phonemes in words and to manipulate them. Syllables are often described as the beats in words. 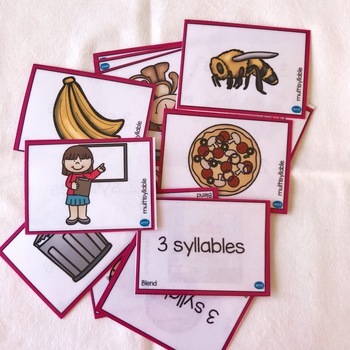 Syllable awareness is something that helps students “listen” to the structure of words. Syllable awareness allows a young child to think of “crocodile”, not only as a word associated with something fierce and scaly but as a word that has three syllables (or beats). 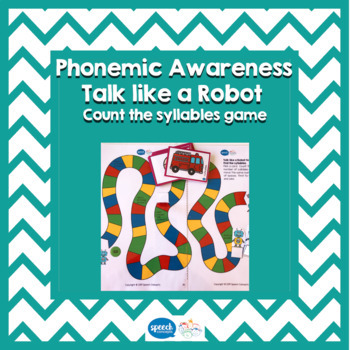 Awareness of syllables in words (syllable awareness) develops before the awareness of sounds in words (phonemic awareness). 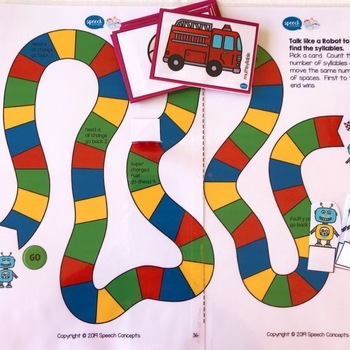 This game focuses on the development of syllable awareness. number of syllables. 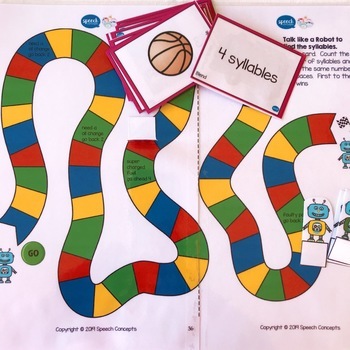 Move the number of syllables on the game board. First one to the end, wins.